Auditing which is a specialty area of accounting helps to determine whether the financial reports of a corporation, government agency or non-profit organization are accurately presented to the public, and an accountant who wants to become an auditor often requires extra training. The two types of auditing are external and internal auditing. External auditing activities are conducted for the benefit of investors, other stakeholders within the financial services community and the public. All publicly traded companies are required by law to have external audits performed by third party accountants in accordance with guidance from the Securities Exchange Commission and the U.S. Generally Accepted Accounting Principles (GAAP). Internal auditing functions are performed by an organization’s employees to help their companies to improve their financial reporting systems and prepare for external audits. Here are some of the steps that accountants take to become auditors. One of the first steps that business professionals take to become auditors is to earn an undergraduate degree in accounting. 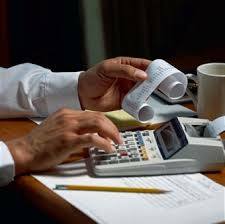 All accounting programs consist of course work about the purpose and structure of financial statements and reports. During their undergraduate years, aspiring auditors are also exposed to U.S. GAAP and international standards for financial reporting. Students who know early that they want to become auditors can often choose auditing as a specialization within their accounting degree programs. Because auditing is such a critical subset of accounting, many accounting degree programs emphasize the mastery of the auditing process even when specializations are not available. Many accounting degree graduates take more accounting and business classes to fulfill the education requirement to sit for the Certified Public Accounting (CPA) exam. The CPA license is one of the most prestigious credentials that accountants can earn, and it often opens up more career opportunities than an undergraduate degree in accounting alone. In fact, most audit agencies only hire CPAs. The four parts of the CPA exam are financial, auditing, business environment and regulation. Subsequently, audit agencies are confident that accountants who pass the CPA exam have sufficiently mastered the subject of auditing. Additionally, accountants who want to become internal auditors within their companies can earn the Certified Internal Auditor (CIA) designation administered by the Institute of Internal Auditors (IIA). Besides an undergraduate degree and relevant work experience, CIA candidates must pass a three part exam that tests their knowledge of internal auditing principles, processes and structural elements, according to The Institute of Internal Auditors. Although accountants work hard to understand the processes and regulations associated with auditing, most do not ignore opportunities to sharpen their skills and refresh their knowledge of the subject. This is important because auditing professionals can always count on periodic regulatory changes that are designed to improve external auditing processes and outcomes. Once the modifications are made within external auditing activities, companies apply the new auditing rules appropriately to their internal auditing plans. Membership in professional associations like the IIA provide continuous education and training resources that help auditors to keep up with changes in auditing. Memberships in professional associations also facilitate opportunities for auditors to network with their peers, and these professional relationships can lead to more desirable job options. The systematic steps that auditors take to evaluate an organization’s financial statements are not intuitive. To become an auditor an accountant must possess extensive job knowledge, have great organizational skills, demonstrate attention to detail and apply the highest professional ethics.